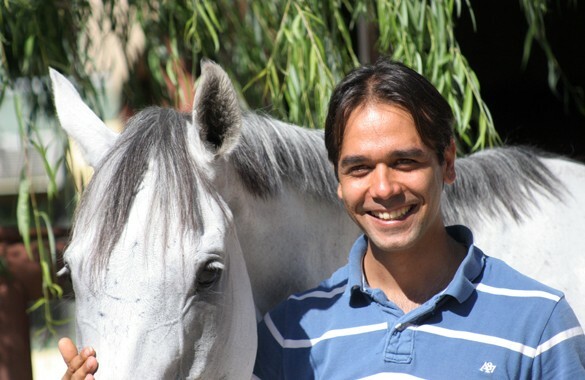 Shahram Aminzadeh is a riding instructor, trainer and certified show jumping judge. He has been riding and teaching since 1996. 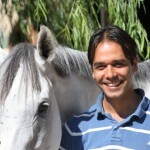 He is certified by the American Riding Instructors Association as a Dressage and Show Jumping Instructor. He is a USDF Bronze Medalist and Currently pursuing his Silver Medal. 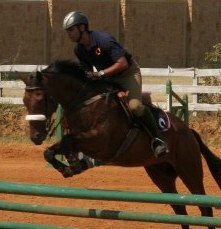 He began his riding career in his home country of Iran. In 2002 obtained a college degree in Equine Science with a focus on equine breeding technology. In 2005, he and his wife Sara moved from Iran to the United States. They settled in the great state of Texas and made Dallas their new home. 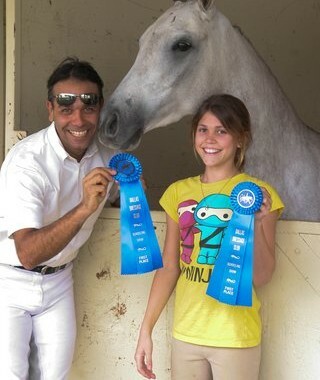 With more than two decades of experience, Shahram trains and competes in both dressage and show jumping. He believes teaching others to ride is a form of art that requires perceptiveness, flexibility and creativity. Maintaining this philosophy he is able to teach students of all personalities and levels of talent. 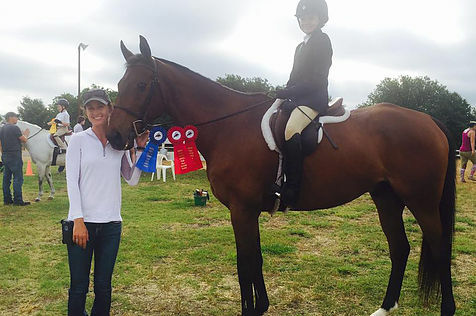 Whether you are an experienced rider or just beginning your success in equitation is achieved by being confident in your ability and achieving a mutual level of trust between the horse and rider. 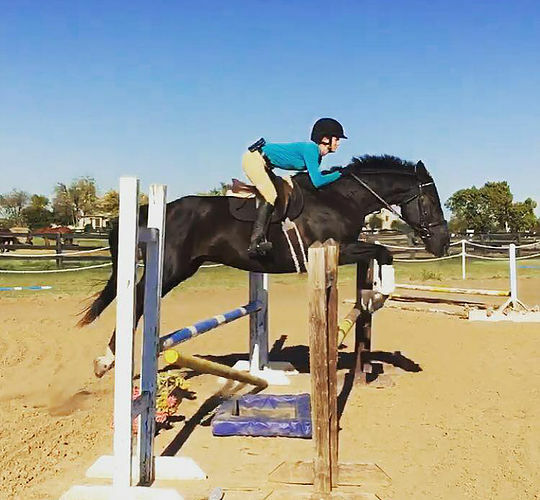 Karen is from the North Dallas area and has been riding English hunt-seat equitation and hunt-seat over fences since 2002. 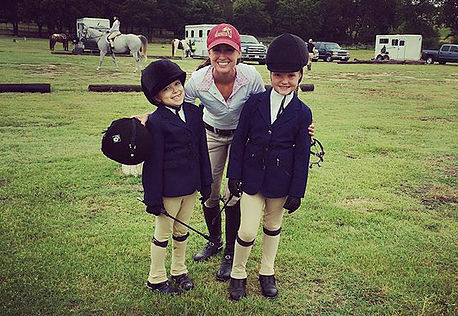 Animals have always been an important part of her life and her passion for riding has continually grown. She recently got married in August of 2013 and she and her husband share their home with their dog, cat and 2 horses. Karen has also worked for several years in the animal world as a veterinary technician. Karen graduated from West Texas A&M University with a Bachelors of Science Degree in Psychology and rode for the equestrian team. Karen also took classes specifically for hunt-seat equitation/over-fences and western horsemanship. 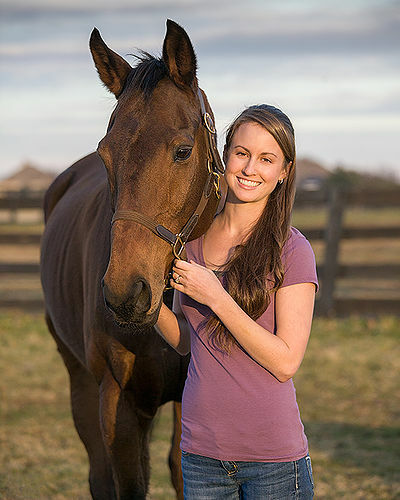 She has continued to grow in her knowledge of horse care and management as well as advancing her skill with training and schooling advanced horses. In 2014, Karen furthered her education by becoming a registered Therapeutic Riding Instructor through PATH International. Training took place at the Equest Therapeutic facility where she greatly elevated her instruction of classes as well as in-depth equine management.